- A new match has been added to tonight's WWE Royal Rumble Kickoff pre-show - Rezar and Scott Dawson vs. RAW Tag Team Champions Bobby Roode and Chad Gable. This will be a non-title match. Drake Maverick revealed on the pre-show that Vince McMahon had ordered the match. He also noted that a win for Rezar and Dawson would put The Revival and AOP in line for a future title shot from Gable and Roode. As noted, Akam is currently out of action for a few months with a leg injury. Stay tuned for updates on the RAW Tag Team Title picture. 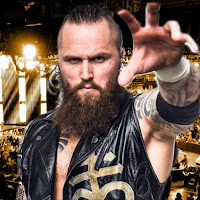 - There is speculation on Aleister Black being called up to the main roster soon. Some fans felt like Black gave a farewell to the brand after last night's WWE NXT "Takeover: Phoenix" post-show brawl, which you can see below. Dave Meltzer noted on Wrestling Observer Radio that Black has been discussed for a main roster call-up for months now.